Here's the original picture. 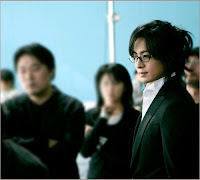 The image of Yong Joon is very clear, coz they focused on him. And the two person in the background .. well, their image are blurred anyway, so it's better to cut them out of the picture [oh...is that the IMX manager Mr Sohn ...and YJ's stylist ?]. Ok, have a fun time trying out cropping. But don't go overboard and crop everything out...some photos are better left as it is. 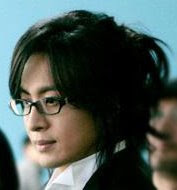 I suppose YJ is a whiz at cropping and other photography skills.